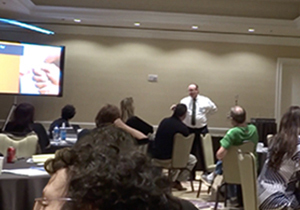 On November 3, 2017, Fabra-Cleen owner Brian Kornet educated and inspired attendees during his keynote presentations at the 2017 surpHaces Partner Conference. He challenged the audience to rethink the way they network and to recognize the immeasurable value of professionalism. Brian kicked off the conference with three enlightening presentations covering relevant topics: from intentional steps for making a positive first impression to exceeding customers’ expectations to do’s and don’ts for working with building and property managers. With unexpected shifts in discussion like, “Let’s not talk about networking; let’s talk about fishing,” and visual props like marbles and an apothecary scale, Brian kept the audience actively engaged throughout the sessions. We feel so privileged to have had a dynamic and engaging keynote speaker for our 2017 surpHaces Partner Conference. The information truly resonated with our audience. We received such outstanding positive feedback on Brian’s interactive presentation style from surpHaces Partners that we’ve booked Brian for our 2018 conference. 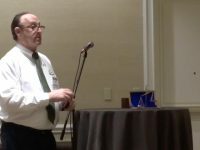 Brian Kornet is a Certified Public Speaker with the Marble Institute of America, and serves as the Chairman of the Standards Committee for Stone and Tile Pros. He is also President of the Manhattan chapter of DEMA (Domestic Estate Managers Association). He has a passion for elevating the industry to the highest standard of professionalism and integrity.